Winter can be so rough on your hair. For that matter, so can summer, city water and any number of other elements, as well as many hair products. So what’s a girl to do when her hair gets all dry and brittle and loses its shine? 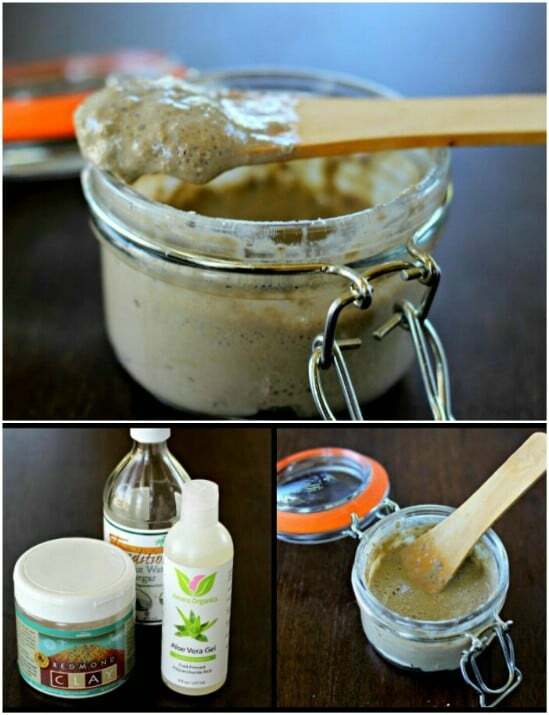 Make a DIY hair mask, of course! I love making my own beauty products and hair masks are among my favorite treats for myself. So, I thought that I would share with you my favorite all natural homemade hair masks that will give you the healthiest and most beautiful hair ever. These 15 masks are all easily made and most can be done from things that you probably already have in your kitchen. From mayonnaise and eggs to coconut oil and even beer, there are so many wonderful things that you can use to treat your hair and yourself. These are all really gentle on hair and perfect for getting rid of that winter dryness and that frizzy hair that comes with summer humidity. Whether you want longer, silkier or just plain healthier hair, these treatments are going to make you love your locks. And, if you really like doing your own DIY beauty treatments, be sure to try a few of these 10 natural face mask recipes for clear and beautiful skin. 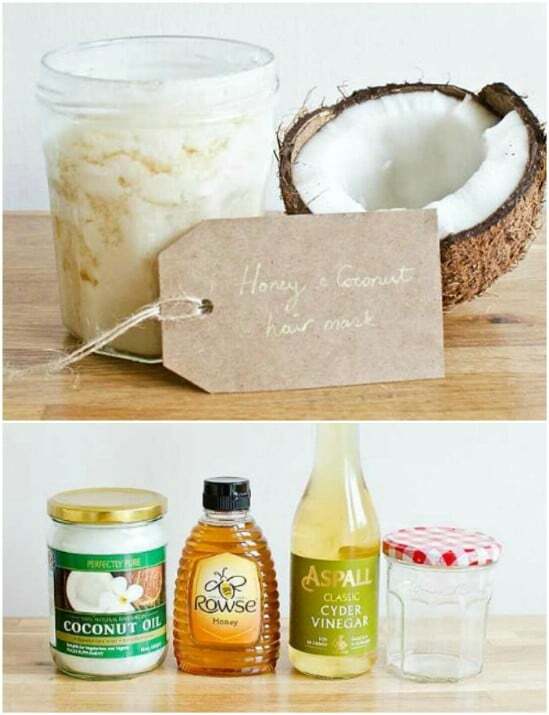 These natural DIY hair mask recipes are perfect for a spa night in or you can share them with the girls. Have a spa party and let everyone get beautiful hair! What I really love about them is how very easy they are to make and they will leave your hair so silky and beautiful. 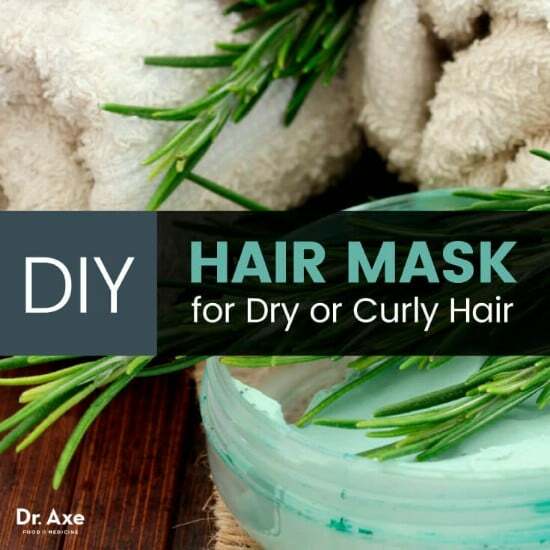 Whether you want to remove buildup, help your hair grow or you just want a nourishing mask that will ward off that dry winter hair, these homemade masks are perfect. And, if you want to create your own at home spa experience, you really want to check out these 30 homemade bath bomb recipes. olive oil with a bit of water, apply to hair and leave it on for about 20 minutes, then shampoo as usual and you will instantly notice a better feeling scalp. Oily hair is a problem that many women…and men, suffer from. This oily hair mask will relieve that problem and leave your hair shiny and healthy looking, too. You need lemon rind and apple cider vinegar for this one. The combination of the two ingredients helps to restore the proper pH balance to your hair and helps to neutralize excess oil production. The result is shiny hair…without the oil shine. This all natural hair mask contains avocado and it helps to grow and deep condition your hair. 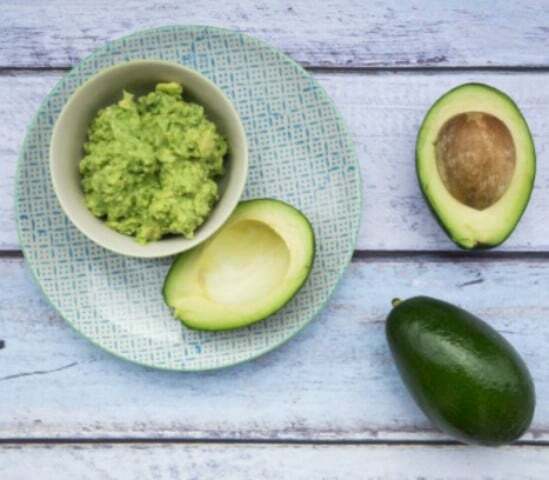 This one is really easy and avocado is so good for your hair…as well as your skin. This one also has castor oil – better to use on your hair than to take as medicine, right? – and a few other ingredients that help it to really condition your hair and chase away those dry, frizzy ends. Plus, use this one regularly and you will notice a significant improvement in your length. Banana and olive oil are the base of this mask that is perfect for restoring damaged hair. If you use a lot of product like hair color or you regularly blow dry, straighten or curl your hair using heat based appliances, you may notice some dry or frizzy ends. This mask will instantly make your hair healthy again and leave it silky and shiny. This mask has beer, egg and almond oil and it will leave your hair so smooth and shiny. You remember those old beer rinses, right? Beer is actually really good for your hair and the addition of egg and almond oil in this mask helps to restore your hairs natural beauty and leave it silky smooth. You leave this one on for about half an hour and then rinse it away to reveal perfectly healthy hair. This mask contains coconut oil, (you have to love a good coconut oil beauty recipe) honey and apple cider vinegar. 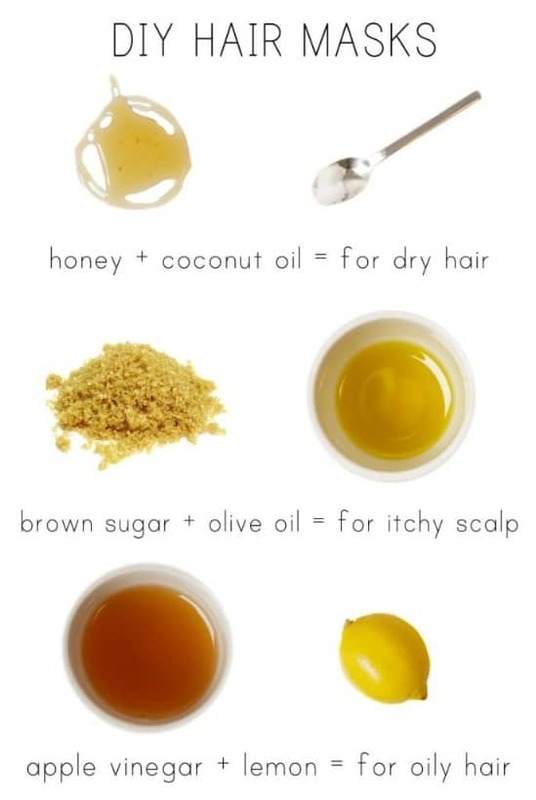 The three ingredients work together to leave your hair silky and shiny. You can use this one once a week if you want. The ingredients are all really gentle on your hair and help to wash away that frizziness that some of us tend to get during those hot humid months or during winter when the cold air leaves our hair so dull and dry. Milk is an excellent rinse for your hair if you want soft and manageable locks. 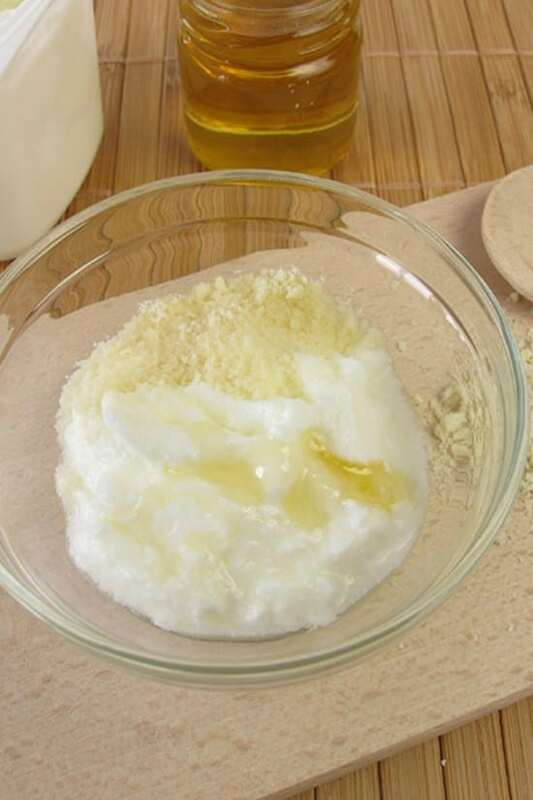 This mask is made of milk, along with egg and coconut oil to leave your hair so smooth and shiny and of course, soft. You heat your hair when this mask is on to open up the follicles so that the mask can penetrate deep into your roots. This is a wonderful mask to follow up after a deep clean that strips all of those harsh chemicals out of your hair. Yogurt contains a number of vitamins and proteins that are great for helping your hair to grow. We all lose hairs every day, some more than others. If you feel that you are losing more hair than you are growing, this yogurt mask is perfect for helping to replenish those lost strands. You mix yogurt with honey and apple cider vinegar. The mask helps to moisturize your hair and nourishes it to increase the strength of your strands and reduce breakage. 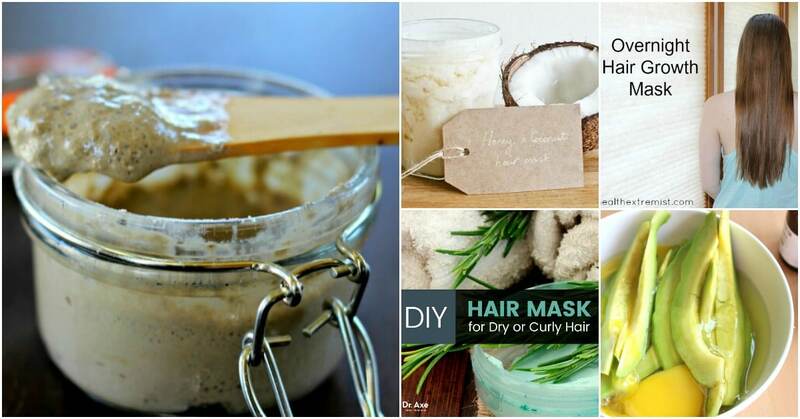 Whether you have naturally curly hair or you add the curl yourself with a perm or styling products and appliances, this homemade curly hair mask is a must for keeping those curls bouncy and beautiful. This one uses mayonnaise as well as egg and a few other common kitchen ingredients. 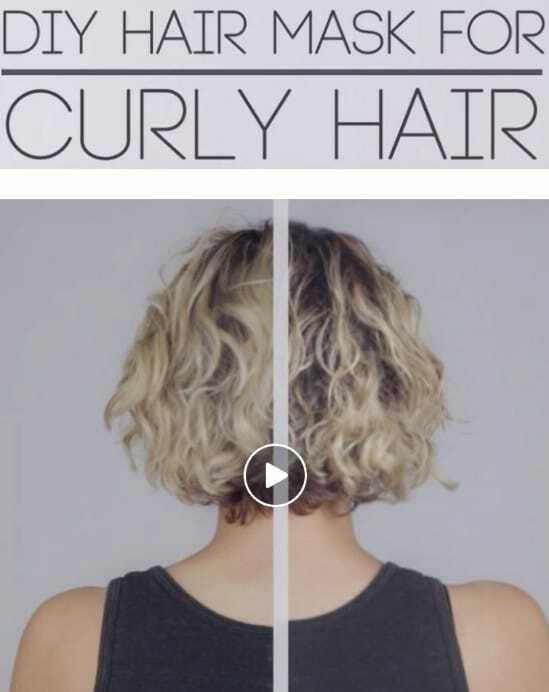 You can use this one every week to help tame those curls and give your hair a gorgeous shine. 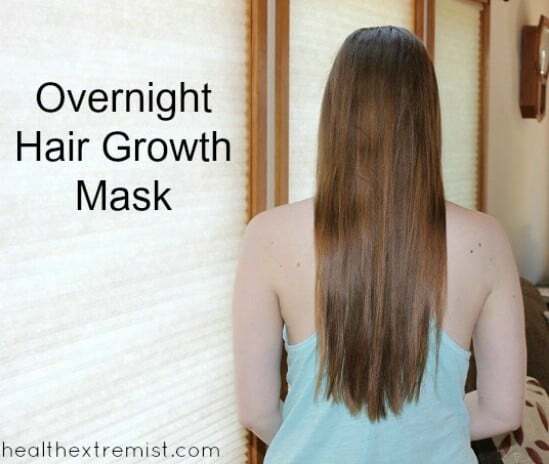 If you want noticeably longer hair in a short time, this overnight hair growth mask is perfect. It uses olive oil, eggs and coconut oil to stimulate hair follicles and make them grow. If you use the mask a few times each week, you can see a noticeable difference in the length in about a month or so. This one is really easy to mix up and really does help your hair to grow long and beautiful. Nobody likes frizzy hair. There are so many things that can make your hair frizzy and unmanageable and this DIY hair mask will cure them all. This one has avocado, which has oils and proteins that are perfect for smoothing your hair. Avocado is the only ingredient – unless you want to add some extra benefit to your hair mask by including egg, sour cream or mayonnaise. This Moroccan hair mask recipe is perfect for deep cleaning your hair and adding moisture to keep it soft and luminous. 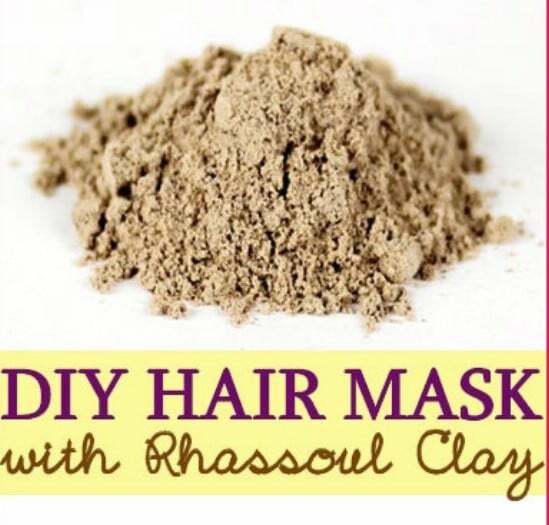 This one uses Rhassoul clay, which has been coveted for its health benefits for centuries. Women have been using the clay since ancient times for its many skin and body health benefits. The clay is well known for its wonderful cleansing properties and the mask also includes rose water and argon oil, both of which have a few benefits of their own. Lemon seeds and black pepper are great for adding volume to your hair. If you love the big hair look, this mask is going to help you to give those locks a lift and keep them smooth and silky at the same time. You can also add olive oil to the mask to give your hair a kick of moisture. This one only takes a couple of minutes to mix up and then another 20 minutes to set and it rinses clean with warm water. This wonderfully scented hair mask contains rosemary oil and lavender and it will leave your hair so smooth and silky! This is a great mask for regular use because the ingredients are all really good for your strands. The addition of essential oils offer many benefits, not the least of which is a wonderful scent that will linger in your hair until you wash it out. This one also has coconut oil, avocado, honey and eggs that all leave your hair beautifully conditioned and make it look so healthy! Essential oils are great for so many things. You definitely want to learn to make your own essential oil sprays.